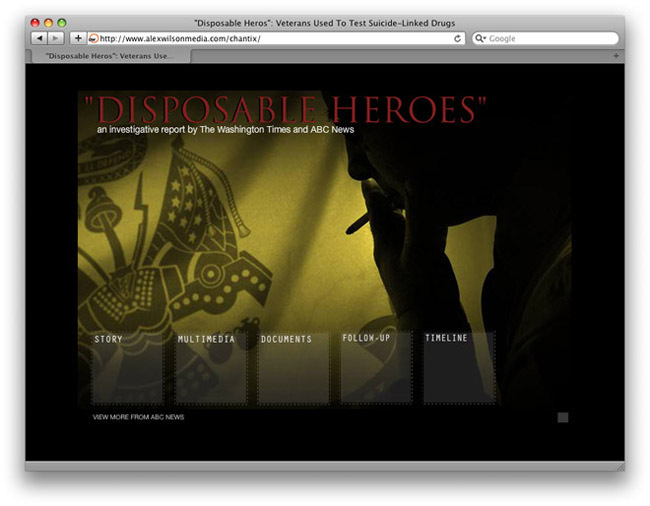 Alex Wilson Media | Web Design | "Disposable Heros"
I developed this Flash interactive to pull together all of the media and information on The Washington Times investigative report on the Veterans Administration's (VA) use of veterans as test subjects to see the effects of the anti-smoking drug, Chantix. 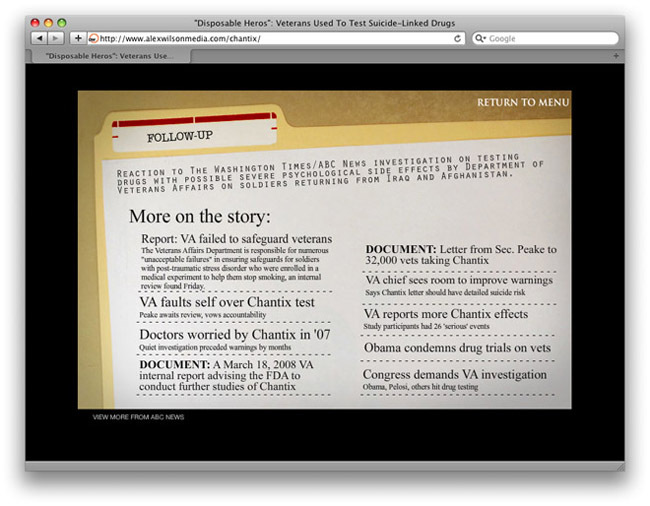 I worked with the reporters, photographers and videographers to pull together all of the content and developed an interface that was easily navigable and allow views not only to read the story but see photo galleries, an in-depth documentary video on one of the victims and the actual documents the reporters turned up in their investigations. 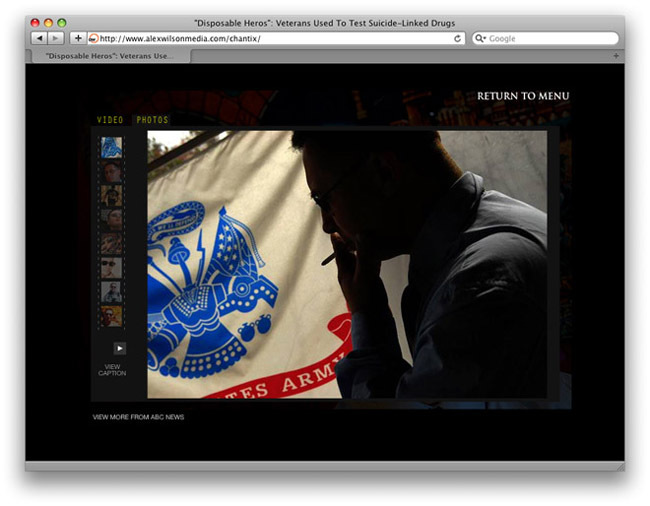 Our team was awarded one of journalism's highest honors, the Society of Professional Journalists’ Sigma Delta Chi Award for public service for this project.